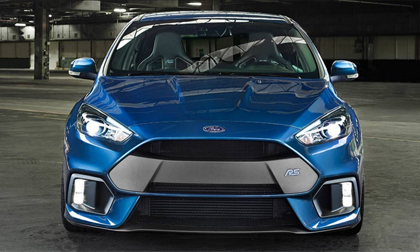 TULSA, Okla., June 09, 2016 – The 2016 Mid America Ford and Shelby Nationals, June 15-19, will showcase Ford Motor Company’s latest lineup of high-performance vehicles including a pair of new Shelby GT350R model cars, the new Focus RS and several Mustang GTs. Since 1974, Ford and Shelby owners have gathered in Tulsa to enjoy their Mustang and Ford-powered performance cars. This year, collectors and enthusiasts will experience plenty of high-octane excitement throughout the weekend. From the Ford driving school at Hallett Motor Racing Circuit on Wednesday, to Ford displays and track events in the Shelby GT350R and Focus RS Thursday through Saturday, there’s something for drivers of all levels. In addition to the high-octane excitement throughout the weekend, Ford representative Jim Owens will present a Ford Performance line-up overview during the Friday night banquet. For more event information, visit the event webpage, download the registration form or visit Facebook. A full list of activities and hotel accommodations are available online. Since 1974, Mid America Ford and Shelby Nationals has attracted car enthusiasts nationwide to enjoy all things Ford and Shelby performance. Each summer, Mid America hosts several popular high-octane attractions for fans of all ages including car shows, drag racing and road course track days. For more information regarding Mid America Ford and Shelby Nationals, please visit http://www.midamericafordmeet.com/.